Here is the description of purifying by moonlight bathing. You can purify gemstones by moonlight bathing. The gentle power of the moon will soften negative energy. It will also charge the energy of the moon in the gemstone. Put the moonlight on the gemstones at the night when there is a moon in the sky. Detailed purifying method is written as follows. <1> Check the date of a full moon. Check the date of a full moon with a moon calendar. A moon calendar has the information about the waxing and waning of the moon. You can check that on the Internet easily. We must have a moon in the sky since it is a purifying method using moonlight. 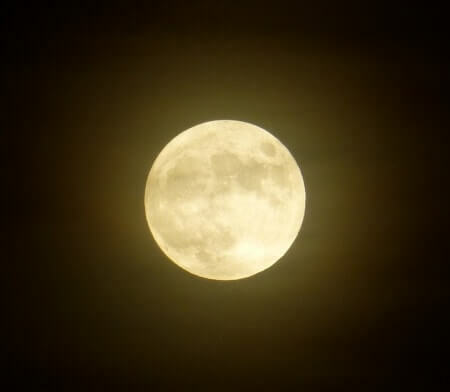 The purifying power will increase as it is closer to a full moon. 2 or 3 days before or after the full moon is the best for gemstone purifying. <2> Check the weather forecast. Check the weather forecast of the day you want to do purification. We can’t do moonlight bathing on cloudy or rainy days. Please find a good day near that day in case the weather is bad. <3> Find a good window that can get moonlight. Please find a window that is good for moonlight bathing. We can do moonlight bathing outside, but to prevent losing the gemstone, it is better not to. If you can’t find a good place, then please try other purifying methods. <4> Put the moonlight on the gemstone. Put the moonlight on the gemstone and purify it. Take your time to purify. More than 2 hours is recommended for moonlight bathing of gemstones. Most energy will be purified in 2 hours. If you want to purify thoroughly, 3 or 4 hours will be good. It is also acceptable to start purifying before you go to bed and finish in the morning. More than once a month is recommended for moonlight bathing purification of gemstones. If you want to mainly do moonlight bathing for purifying, it is good to do it on every full moon day. You can also do it 2 or 3 days in a row on days near the full moon. Please purify the gemstone a little more often if you need bigger energy. We can purify most of the gemstones by moonlight bathing. If you have gemstones that are not good for sunlight bathing, it is good to do moonlight bathing instead. This method won’t do any damage to gemstones. It is also effective for gemstones that are related to the moon or night. Moonstone, Selenite, Lapis Lazuli, and Midnight Lace Obsidian, are some examples. Please make the best use of this method, purifying by moonlight bathing.